Note: To be used with the DVD set. This item has been added for study groups to be able to purchase additional guides. Have you ever looked at the Feasts of the LORD in Lev. 23 and wonder if they had any significance today in the life of the believer? They were central to the worship of God until the third century A.D. We have lost powerful truths of how the Feasts represent the work of Jesus (past, present and future) and how they apply prophetically to our lives today. The Feasts are about bring the believer back into the rhythm of the Kingdom of God. This powerful series will open your eyes to how the Kingdom functions, how Babylon has crept into the Church, and how the Feasts reveal more about the work of Jesus than anyone could have imagined. 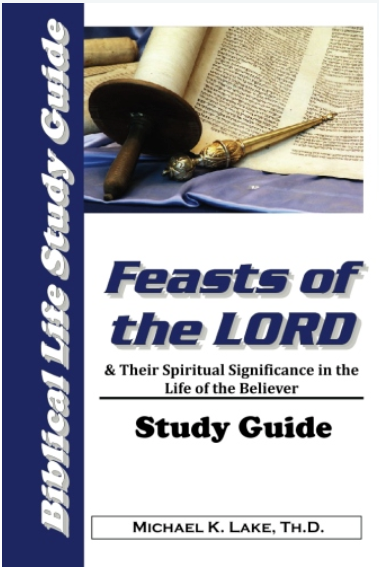 This nine-part series will build a solid foundation in your life about the Feasts and why they are important to every believer!